Apple Inc. has finally lifted the curtains on the iPhone 5, the latest model of the revolutionary iPhone series. In a mega event that was held here in California, CEO Tim Cook along with SVP Philip Schiller unveiled the highly rumored and the much anticipated smartphone which has been in the public eye ever since it was conceptualized. Apple today lifted the covers off the iPhone 5 and announced the official specifications, the new features, pricing and the release date for the hottest and the most followed phone of the year. The iPhone will be available for a price of $199 for the 16 GB version while the 32 GB variant will come for $299. As compared to these, the 64 GB version has been priced at $399. Apple has said that the pre-orders will start on the official website of Apple and many other partners from this very Friday, September the 14th. It also announced that the phone will begin shipping from the 21st of September in the US, Canada, Japan, Australia, UK, France, Germany and Hong Kong. 20 other nations will follow starting next month. With the release of the latest device, Apple has bumped off the iPhone 3GS and will be sticking to the iPhone 4, iPhone 4S and the iPhone 5 for its iPhone line-up. iPhone 5 will start shipping with the new OS and the iPhone 4 and 4S users can upgrade to the latest OS for free from 19th of September. 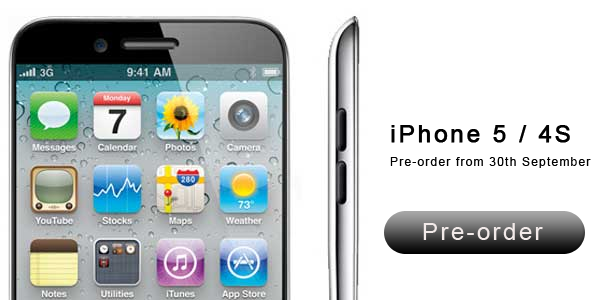 The price for the other two models has also been dropped and the iPhone 4S can now be had only for $99. The latest release has definitely set the temperatures in the smartphone market up, once again.